We are looking for an experienced Sales Executive<br><br>All sales administration and sales support requirements within the hotel, including management of CRM and customer data, producing sales presentations and monthly reports. Identify new potential clients through direct enquiry or sales leads and assist as a professional and efficient liaison between the client and the hotel sales teams.<br><br>What we are looking for?<br>We look for people who are energetic and approachable with a sense of fun; always curious to discover more and share thoughtful suggestions with our guests.<br>An ability to work on one's own initiative and to ensure effective promotion of the brand and group. Strong team player and the ability to work in a fast pace environment.<br><br>What do I get in return …………………<br>We will give you a competitive salary and opportunities to learn new skills and grow your career. You will also receive a benefits package that includes some of the below;<br>• Fantastic discounted hotel room rates for you, and your friends and family so everyone can enjoy a break away!<br>• Free meals on duty<br>• Purchase extra leave<br>• Complimentary meals whilst on duty<br>• 50% off food & Beverage when staying at our hotels.<br>• Various other company Benefits, HSF/ Childcare vouchers/ Cycle to work scheme<br>• Incentive programmes<br>• Flexible working arrangements, as we know this will be important to you<br>• Employee friend referral scheme<br>• Pension - we will automatically enrol all our people into the Peoples Pension<br><br>In line with the requirements of the Asylum and Immigration Act 1996, all applicants must be eligible to live and work in the UK. As part of the recruitment process, you will be asked to provide documented evidence of eligibility. 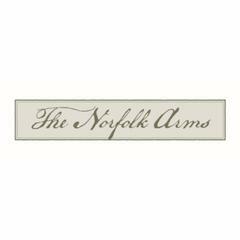 Norfolk Arms Hotel is posting their hospitality jobs on Harri.